Cheryl Schneider is the director of animal services for the Williamson County Regional Animal Shelter. A former nurse/paramedic for 32 years, Cheryl became interested in the city operated animal shelter in Lockhart during her tenure as Emergency Medical Services director. Concerned for the welfare and outcome of the animals at the shelter, she formed the volunteer group Cause for Paws, Inc. in 1999 whose mission was to assist with the shelter's operations and funding. Soon after, Animal Services was placed under her management. 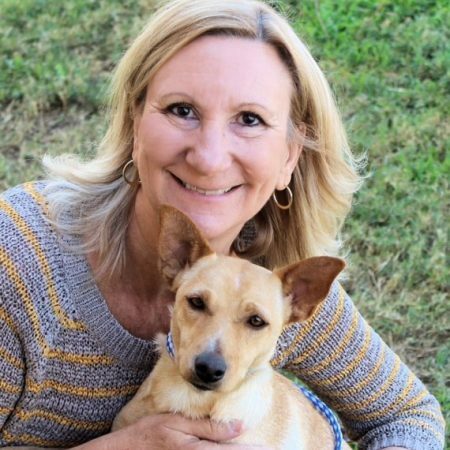 After retiring from the City of Lockhart in 2007, Cheryl went to work in Williamson County as the director for the newly built regional animal shelter, which intakes about 7,000 animals annually. During her tenure, the euthanasia rate has steadily decreased and a save rate of over 90 percent has been achieved and kept since December 2010. Cheryl holds a Bachelor of Science in Human Resource Management. She lives in Georgetown, Texas with her seven dogs and one cat as well as an occasional foster.